Throughout the life of your business you’ll rely on your IT systems to just ‘work’, but the truth is these days with advancing capabilities in the tech department, IT systems can become stale and obsolete if they are just left alone. Synergise IT consider your existing resources, how they can be maximised and whether they support your personal future business initiatives. It’s crucial to think about what is coming up, new technological developments and which of these technologies can help your business. Don’t worry, we’ll tell you what, how, why and when! Information Technology Planning is a discipline that focuses on making the planning process for information technology investments and decision-making more considered, more flexible, and more thoroughly aligned to business processes and objectives to achieve long term success. Planning is important to avoid unknown surprises. You don’t want to find yourself in a situation where you didn’t realise all your equipment, potentially the age old software is unreliable and is the key reason as to why you’re not meeting your goals. You don’t want to find that you’re facing an un-budgeted expensive upgrade. It’s situations like this that can affect your business cash flow, performance, productivity and profitability and also staff morale. 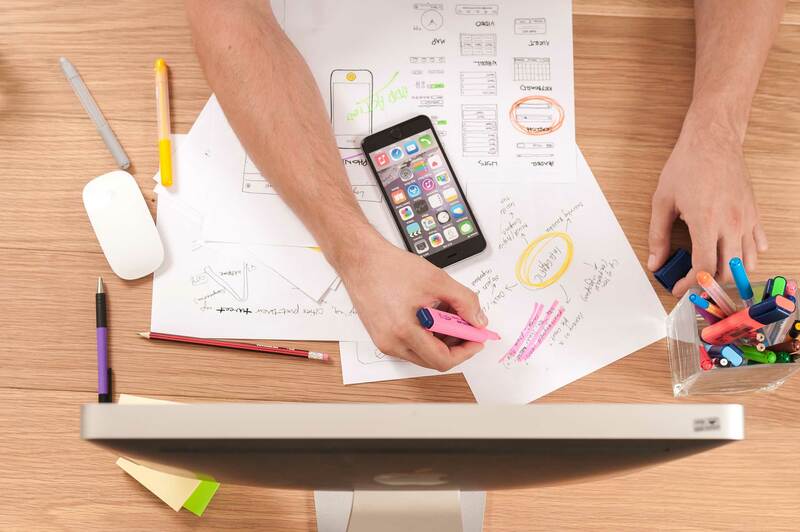 Our disciplined planning processes have been developed to ensure that our framework is always current and applicable to your business industry with regular updates and small modifications. We discover your business goals and requirements, map out your IT needs to ensure you are fully informed and to ensure there are no surprises. It’s all about forecasting, budgeting, making decisions and allowances, keeping informed and under control. Through our Managed Services Programs, we keep a dynamic repository of application and system data. Our planning tools call on this baseline to provide a common inventory of application data including costs, life cycles, and owners, so that you have straightforward access to the information that drives your decisions. You should always be planning – we’re always planning! Our Programs are designed to ensure that we are always thinking about you and your business; it allows time to review and provide quality control so nothing slips through the gaps and we capture this information. 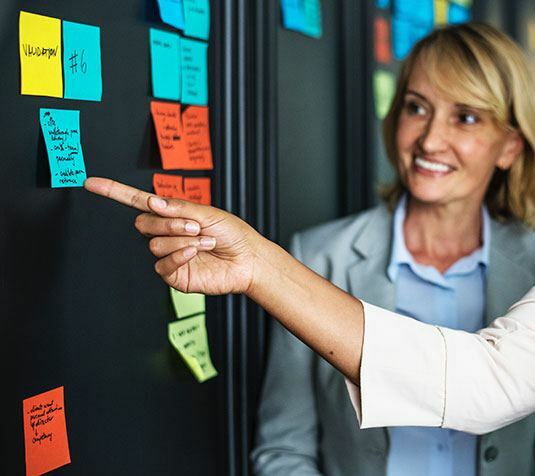 We routinely and regularly brainstorm our clients’ operations and applications which allows us to keep your business at the forefront of our minds. Well, have a think about this. What’s a business without a plan, or without a vision? How do you hold your management team and staff accountable? It’s the same with IT – you want to know what your investment in IT looks like, how it works and how your IT Partner is meeting your expectations and delivering maximum operations and productivity. We want you to know what’s coming up, what’s new, how can it help and benefit your business. You have our complete attention and peace of mind that your future is being considered. 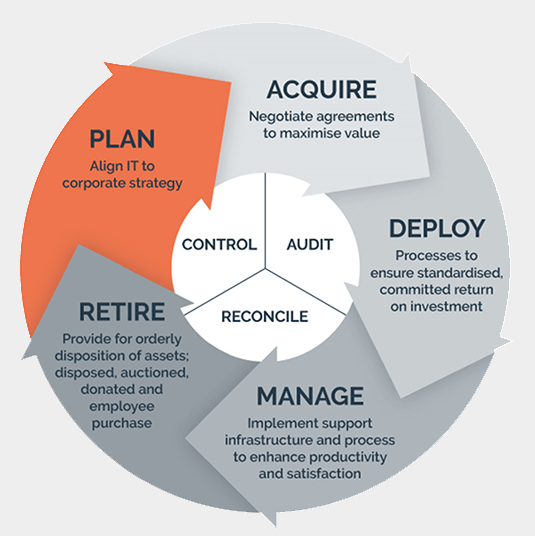 In its simplest form, lifecycle management is the process of managing the lifecycle of a product from initial purchase and acquisition, through to the ongoing management and support, and finishing with the retirement and recycling of the product. A well-documented and proven process keeps you informed of your current IT investments position. Coupled with our account management and planning, this process ensures there are no surprises and that all IT initiatives and purchases are planned well in advance and budgeted accordingly.